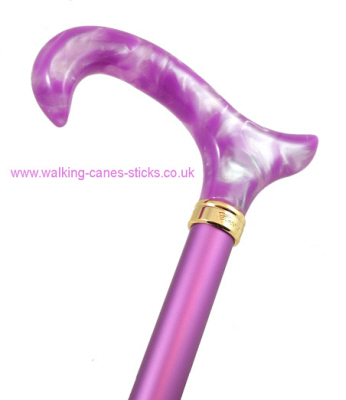 A light weight cane constructed from a strong aluminium shaft and acrylic Derby handle. Adjustable from 75 cm to 100 cm. The length secured with a toggle and screw lock.